Are you ready for a garden-fresh cocktail with an affordable, crisp and organic vodka? If so, this Rocky Cucumber is the perfect drink for you and it's a great cocktail for spicing up (and cooling down) a hot summer afternoon. This Rocky Cucumber recipe is a signature drink of Leaf Vodka, a certified organic vodka produced in Michigan with the cleanest Alaskan and Rocky Mountain waters available. 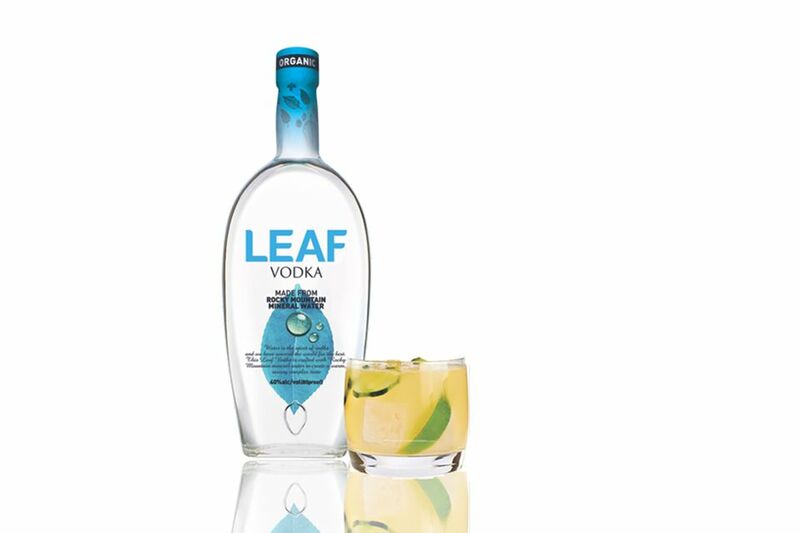 There's more on the vodkas below and I think that you'll want to hunt down a bottle of Leaf after reading that review. First up, the cocktail! This recipe plays off that favorite combination of cooling cucumber and spicy peppers. It's a pairing we see often in modern cocktails and reminds me of drinks like the Cucumber Mint Margarita and Fresa Caliente. The contrasting tastes are interesting and never cease to amaze those who enjoy these drinks. In the case of the Rocky Cucumber, 'hot pepper sauce' brings in the heat and that is a pretty broad ingredient. I used Cholula for my hot sauce because it's a personal favorite that I find useful in almost any spicy cocktail. Tabasco's bitterness and stronger heat would be another great option, though you could use almost any hot sauce you have in the pantry. Tip: Take it easy with the hot sauce! One dash too many can easily throw off the balance and burn the drink to the point where it's undrinkable. Once you have that perfect balance between the cool fruit and the spicy pepper, you will quickly discover why we love cocktails like this. Muddle three slices of cucumber with hot sauce, lime juice, simple syrup and vodka in the bottom of a cocktail shaker. Garnish with a cucumber slice and add an extra dash of hot sauce. How Strong Is the Rocky Cucumber? Let's assume that our rocks glass needs about 2-ounces of soda to finish it off. With that and because we know that Leaf Vodka is 80-proof, we can estimate that the Rocky Cucumber is a relatively mild mixed drink with an alcohol content of right around 12 percent ABV (24 proof). Toss a Little Cranberry Into Your "Iced Tea"